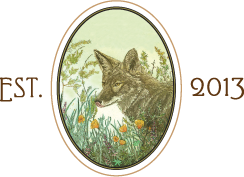 We are proud lifetime members of The Livestock Conservancy, a nonprofit organization dedicated to saving endangered livestock and poultry breeds from extinction. We believe heritage breeds are an important part of our nation’s agricultural history. Establishing a quality breeding program benefits the genetics of a rare breed and connects you to other breeders for selling (or trading) good stock. Animals that don’t make the grade for reproducing can be harvested and sold as delicious food to customers. 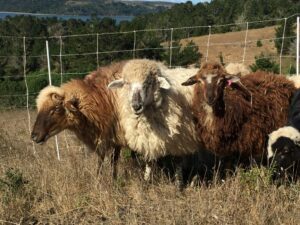 The Navajo-Churro sheep is a great example of a heritage breed with many wonderful attributes for the small or large farm. 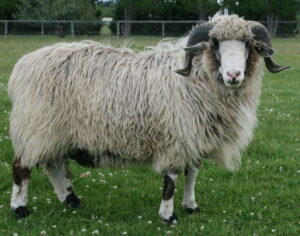 They are a regal, lean, and long-legged sheep that come in a range of colors and patterns. They grow up to 12 inches of double-coated wool per year. They are resistant to disease and parasites, adventurous browsers, tolerant of extremes in temperature and drought conditions, superior mothers, alert, social, and intelligent. They can be polled or multi-horned. Last but not least, they taste exquisite. The meat is refined and subtle, delicately perfumed with the scent of lamb. The Navajo-Churro is also a historic animal. The sheep were first brought to the Caribbean and Mexico by the Spaniards in 1494. They were well-established in the American Southwest by the late 1500s. The Navajo people embraced shepherding and incorporated the sheep into their culture for wool and meat. 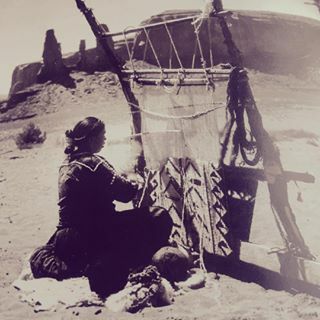 Keeping livestock and weaving textiles became a foundational element of the Navajo lifeway. “Sheep Is Life” is a belief system as well as a continuing annual celebration (held in Tsaile, Arizona) of traditional Navajo shepherding and weaving culture. Brutal slaughter of sheep and other livestock took place at the hands of the U.S. government during the “Long Walk” era of forced resettlement. Mass slaughter and enforced cross-breeding continued through the 1930s. These measures among other travesties served to dehumanize and oppress the native people. The decimation of family herds and the abuse inflicted by our government are wounds that are still very much open in the Navajo today. Despite an aggressive effort to drive the Navajo-Churro into extinction, small flocks of “old type” sheep survived in isolated pockets of the Southwest. Over time numbers dwindled, some say to less than 500. In 1977 Dr. Lyle McNeal of Utah State University created the Navajo Sheep Project and in collaboration with many dedicated individuals began increasing the sheep population on and off the reservation. In 1986 the Navajo-Churro Sheep Association started registering sheep based on a set of phenotypic standards (or breed characteristics) to help breeders conform their flocks to “type” and register animals with limited or no pedigree information. The sheep population now has a registry in the thousands but is still listed as “threatened” by The Livestock Conservancy. We are members of the Navajo-Churro Sheep Association and breed for high quality register-able stock. Farms and shepherds we are so pleased to have acquired stock from include Bide-A-Wee Farm, McKenzie Creek Ranch, Spin Dance Acres, Sage Springs Churros, Puddleduck Farm, Where the Sun Rises Farm, Rio Milagro Farm, Bradford Ranch, Jay’s Navajo-Churro Lamb & Wool, Cedar Mesa Ranch, Kelly Skacy, Nizhoni Heritage Farms, Cunnington Farms, and Connie Taylor. 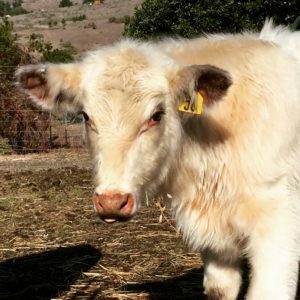 According to The Livestock Conservancy “heritage cattle” must be of a true genetic breed, purebred, endangered, and have a long history in the United States. 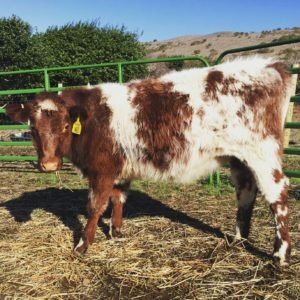 We started our cattle herd with the Native Shorthorn, a true genetic breed currently in “critical” status. Our modern food system has consolidated into livestock breeds that can survive in production environments and generate maximum profit. 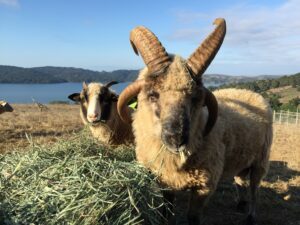 This has resulted in a decrease in the diversity of foods we have available to us and the gradual “phasing out” of once-popular livestock species. This is an unfortunate consequence and an obvious detriment to small farmers. Animals are naturally adapted to geographic locations and environmental conditions. Nurturing historic livestock species allows us to select hardier and more well-adapted animals specific to our location. It also gives us a way to differentiate our products from what is typically available in the marketplace. 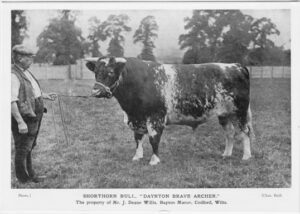 The Shorthorn is a beautiful, docile animal and another fantastic dual-purpose breed, providing lean meat and a bountiful milk supply. They are efficient foragers, resistant to disease, easy at calving time, and great mothers. Our grassfed Shorthorn beef has a truly extraordinary flavor. Contact us to inquire about a 1/4 or 1/8 share. We are members of the American Shorthorn Association and the American Milking Shorthorn Society. We acquired our foundation heifers from Whispering Hills Farm, a family operation specializing in purebred native polled (hornless) stock. Chickens are one of the easiest and most fun ways to get started with farming. Chickens are gorgeous birds, wildly entertaining, and produce amazing home-grown eggs and meat. As with other livestock species the industrialization of farming has sidelined many productive, delicious, and hearty breeds. 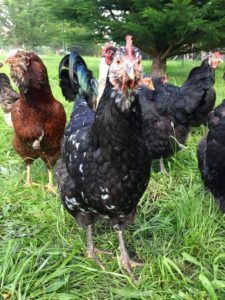 A “heritage breed” must be a standard breed recognized by the American Poultry Association, mate naturally, have a long, productive outdoor lifespan, and a slow growth rate. We wholeheartedly support the quality of life implied by this definition and believe it is a healthier way to approach our food. We currently have 38 different egg-laying poultry breeds on the ranch. Our heritage egglayers include the Campine, Cubalaya, Russian Orloff, Sebright, Buttercup, Dominique, Java, Polish, Sumatra, Brahma, and Sussex, to name a few. Warning: chickens are addictive! Supporting heritage breeds and the small farms that raise them gives livestock animals a chance at a better life under more natural conditions. Admittedly the complexity of feeding our enormous population is daunting. For those who have the luxury of choice buying direct from farms and “eating local” is just one of the ways we can contribute to a more sustainable future.